The minimum wage increase for Michigan employees is set to take effect on March 29, according to the state Licensing and Regulatory Affairs Department. The rate will move up from $9.25 to $9.45 per hour. Overtime requirements will remain the same under the Improved Workforce Opportunity Wage Act, according to LARA. Non-exempt employees should be paid 1.5 times their regular rate of pay for working more than 40 hours in a 7-day work week. 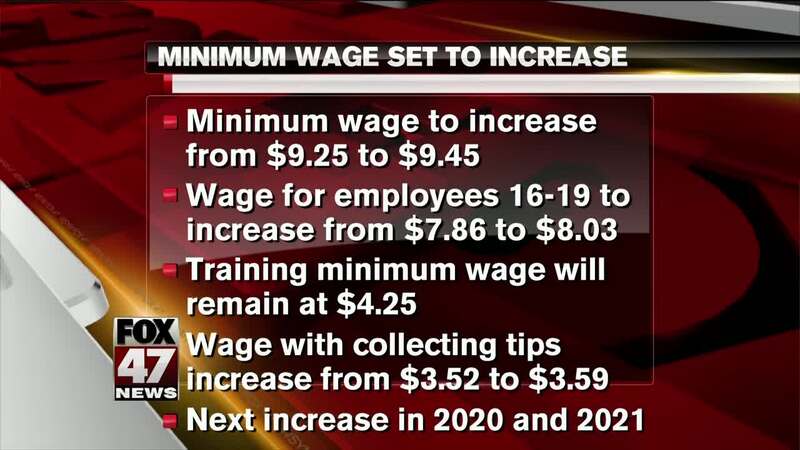 By 2021, the hourly minium wage rate is expected to reach $9.87. </p><p>Click here for more information.